Get ready to be transported to the exciting world of Ravel, Debussy and French Impressionism. Seattle Symphony violinist, Mikhail Shmidt and pianist Oana Rusu Tomai will perform the scintillating Ravel Sonata for violin and piano, the magical Debussy Estampes as well as transcriptions by Jascha Heifetz. The concert is performed in the company of exquisite contemporary paintings in the French Impressionist tradition by renowned impressionist artist, Valerie Collymore. Join us for a glass of wine, appetizers, and lively conversation at the reception following the performance. The youngest Seattle Symphony musician, and YouTube sensation, 25 years old cellist Nathan Chan and pianist and artist entrepreneur Oana Rusu Tomai will be broadcast live on Northwest Focus Live King FM 98.1 radio station. Nathan and Oana will perform live Sonata op. 26 no. 2 by George Enescu, one of the most brilliant masterworks in the cello and piano repertoire. Radio host Sean McLean will engage Nathan and Oana in conversation about their ideas and projects and Enescu’s multi faceted genius. 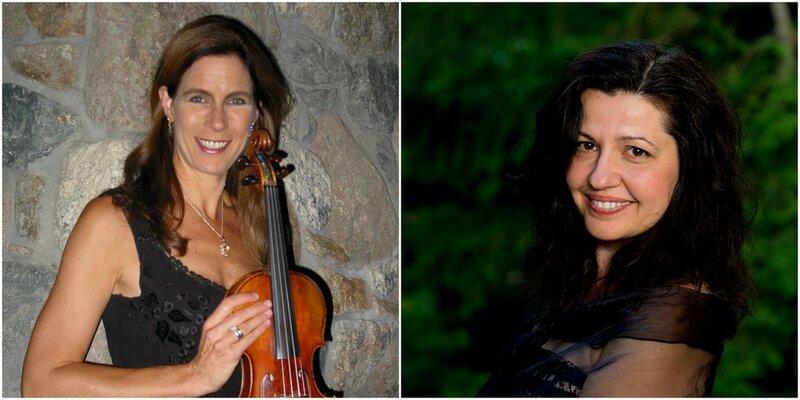 Internationally renown violinist Karen Bentley Pollick and ROCCA Artistic Director pianist Oana Rusu Tomai perform Gershwin, Romanian folk tunes, Jascha Heifetz transcriptions at San Pancho Music Festival in the magical riviera Nayarit, Mexico. The youngest Seattle Symphony musician, 25 years old cellist Nathan Chan joins Artistic Director, pianist Oana Rusu Tomai for an evening of Enescu music. Praised for its originality and impassioned character Enescu Sonata for cello and piano op. 26 no. 2 is a masterpiece of great beauty and elegance. The concert is presented through the joined efforts of Fountainhead Gallery and Romanian American Chamber Concerts and Arts-ROCCA. Selections from George Gershwin's "Porgy and Bess" and other great music coming alive at The Seattle Public Library, thanks to virtuosi Mikhail Shmidt, violin, and Oana Rusu Tomai, piano. Get ready to be transported to the exciting world of jazz & tango re-imagined by American masters with a sprinkle of the Russian soul. We are happy and proud to welcome а Seattle Symphony violinist, Mikhail Shmidt and Oana Rusu Tomai, pianist and Founder, Artistic Director of Romanian-American Chamber Concerts & Arts and a guest pianist at the Seattle Symphony Chamber Series. We will enjoy Gershwin's stirring "Porgy and Bess,” Andre Previn's "Tango, Song, and Dance” (a moving love letter dedicated to a violin virtuoso Anne Sophie Mutter), vivid tangos transcribed by Jascha Heifetz and the unforgettable sounds of “Daisies” by Sergey Rachmaninoff. We have the huge pleasure to announce the upcoming concert titled VIBRANT HEARTS: A ROMANIAN CELEBRATION! in collaboration with Northwest Corner Chamber Orchestra NOCCO (http://www.nocco.org/), featuring an arrangement of the world famous ROMANIAN RHAPSODY #1 by George Enescu with pianist Oana Rusu Tomai and chamber orchestra. Bartok - Romanian Folk Dances.